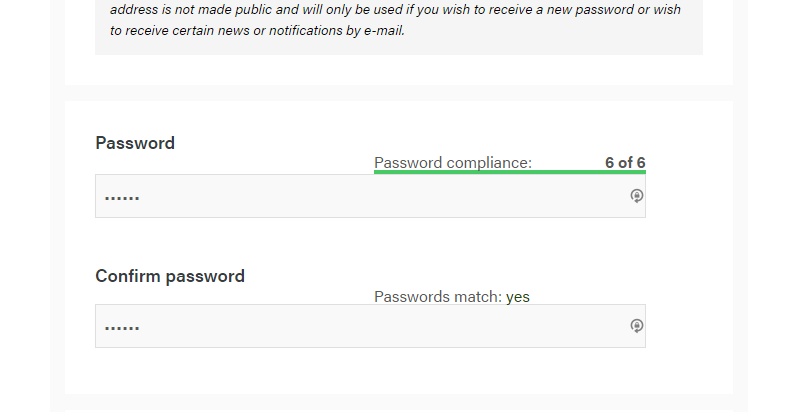 After logging in using your one-time login link that came to you by email, you are brought straight to a page where you can set your own password. You have to enter it twice - once in each password box provided. If you do not set your password here, you will not be able to log in to the site next time you visit. If this happens, then you can use the reset password form to reset it by email.